This event has been CANCELED due to lack of participation and volunteers. We only had THREE RSVPs as of three days AFTER the deadline and NO volunteers to help make it happen. It is SO important to respond to the events you want to participate in. We spend YOUR neighborhood money to put on these events and we want it to be a great experience for everyone. IF you are disappointed that this event was canceled, please remember to RSVP early for future events AND volunteer to help as much as possible. The seven of us on the planning team cannot do these events on our own. And your family will receive FREE admission! 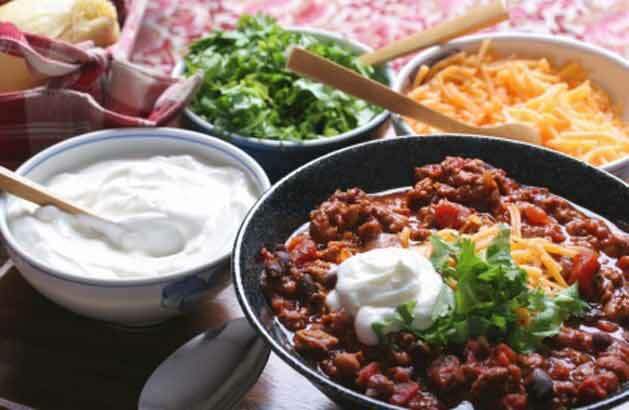 Chili will be judged by 3 volunteers! Help Us Save Some Trees! Sign Up for the Leacroft Mailing List. I must have missed the notice about this event. I only just saw the sign up for the festival two days ago, and logged on to RSVP yes today. If it was cancelled on Sept. 24th, has it been decided to try it again. Please let me know, as I would have loved to bring all my girls. This event was canceled due to lack of RSVPs. We only had 3 responses as of October 13th, three days after the 10th deadline. This is a very costly event with renting inflatables so it is not a wise use of money if only 3-5 families show interest. However, we are hoping this will help residents see the importance of RSVPs to make these events possible in the future. We currently use the website, newsletter and white board to announce events. We are working hard to provide adequate time for responding by not relying solely on one of these means but all three. You should be able to find information on events in one of these places. Thanks for your interest. Be sure to RSVP now for the Holiday SL-HAY ride if you are interested in attending that event.